The Richmond Heights Police Department responded to 51 traffic accidents in the month of July, 2018. This is down from the 83 accidents that were handled in July, 2017. For the year, we have responded to 477 accidents. This is 6 less than the same time period in 2017. The Richmond Heights Police Department responded to 72 traffic accidents in the month of June, 2018. This is up from the 61 accidents that were handled in June, 2017. For the year, we have responded to 426 accidents. This is 26 more than the same time period in 2017. 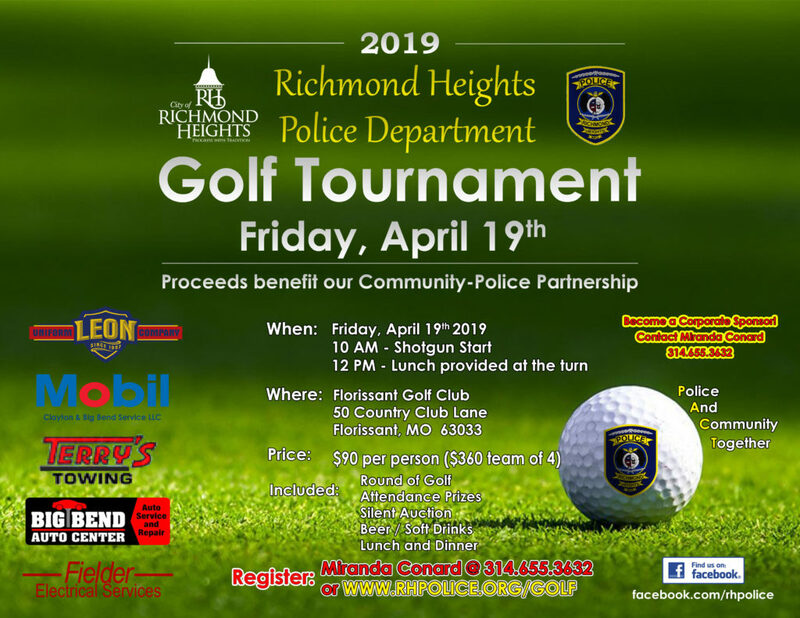 The Richmond Heights Police Department responded to 84 traffic accidents in the month of April, 2018. This is up from the 73 accidents that were handled in April, 2017. For the year, we have responded to 275 accidents. This is 6 more than the same time period in 2017. The Richmond Heights Police Department responded to 61 traffic accidents in the month of March, 2018. This is down from the 72 accidents that were handled in March, 2017. For the year, we have responded to 191 accidents. This is 5 less than the same time period in 2017. The Richmond Heights Police Department responded to 69 traffic accidents in the month of February, 2018. 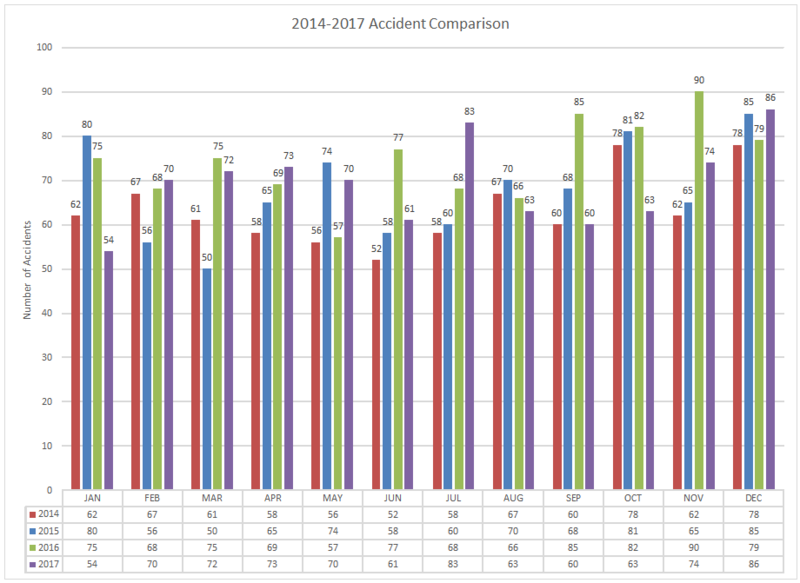 This is down from the 70 accidents that were handled in February, 2017. For the year, we have responded to 130 accidents. This is 6 more than the same time period in 2017. The Richmond Heights Police Department responded to 61 traffic accidents in the month of January, 2018. This is up from the 54 accidents that were handled in January, 2017. The Richmond Heights Police Department responded to 86 traffic accidents in the month of December, 2017. This is up from the 79 accidents that were handled in December, 2016. For the year, we have responded to 829 accidents. This is 62 less than the same time period in 2016.